Geesh this week is flying by…I know I said I would be here yesterday but as you can see I’m a day late. I spent most of yesterday in my sewing room trying to figure out what I had and what I needed. Quite a task! 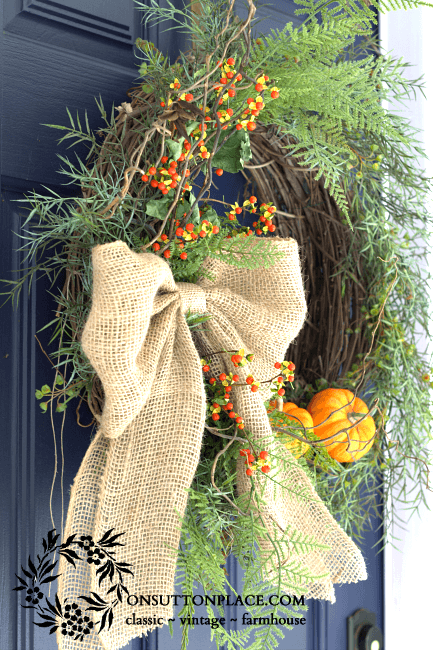 Anyway, let’s talk wreaths…specifically how to make a mini pumpkin wreath. 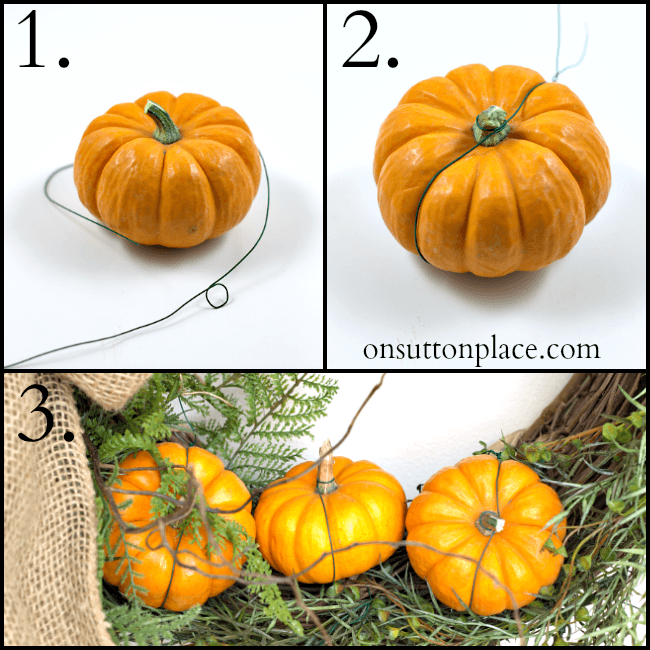 I wanted to share with you how to wire pumpkins on a wreath in such a way that they won’t fall off. It doesn’t matter how heavy they are, this method should work. First things first. If you want pointers on making the wreath base you can read How To Make A Wreath. For the wreath pictured above I re-purposed a Lemon and Burlap Wreath I made last month. I simply removed the lemons and added the pumpkins and bittersweet. Here’s where you can find out How To Make A Perfect Bow if you want to add one to your own wreath. I promise your pumpkins are not going anywhere! If you had enough patience I think it would be stunning to make a wreath entirely of pumpkins. This method would work great. Of course you can also use faux pumpkins instead of the gourds I chose. Anything goes. I decided to use the real gourds because I was using fresh bittersweet and wanted to keep the natural element thing going. 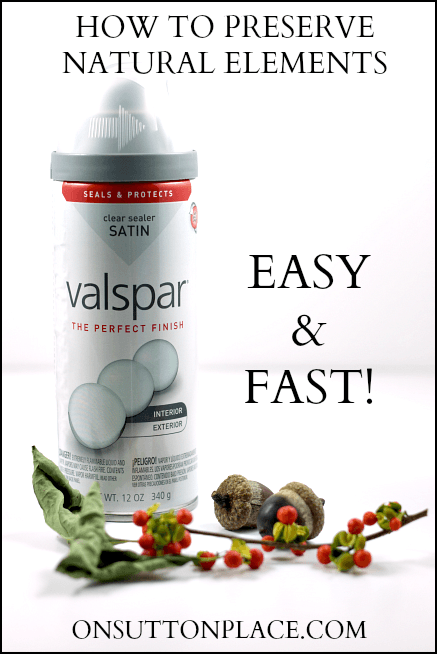 To preserve any natural elements you use in your decor a nice coat of spray sealer will do the trick. I added the bittersweet and curly willow by just sticking them in the grapevine on top and underneath the bow. By spraying the bittersweet first, the berries stayed put and didn’t pop off the stems. It’s no surprise to any of you that clearly I love wreaths. Not only are they an excellent way to bring a seasonal piece into your decor, they are welcoming and add a cozy touch. When someone walks up to my house and steps on my porch, I want them to feel welcome. I want them to know I love my home and that I care about the way it looks. Decorating your front door is the perfect way to accomplish all those things. Your front door says a lot and is that all-important first impression. Make it a good one! Beautiful wreath, Ann! I love all those details and natural elements. You do a great job with your photographs and designing too. I’d love to feature your house in my Feature Friday series? How about it?? So pretty! Love the combination of pumpkins and bittersweet, mixed with greenery…really nice! The wreath is gorgeous Ann! Pinned it! Stunning project, stunning photography! Bravo, Ann! I love the mix of that feathery greenery with the bright orange mini pumpkins. It’s such a pleasing mix. I also like that you added some curly willow in it. I haven’t decorated the outside area of my house yet for Fall. Won’t be too much longer though. 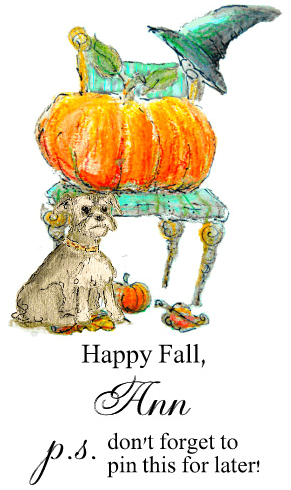 That was a clever way to add the pumpkins….I love it! I love it! Thank you for the inspiration! uh-oh what does my front door say about me then – that I”m naked? I’d better moving on creating something for it. 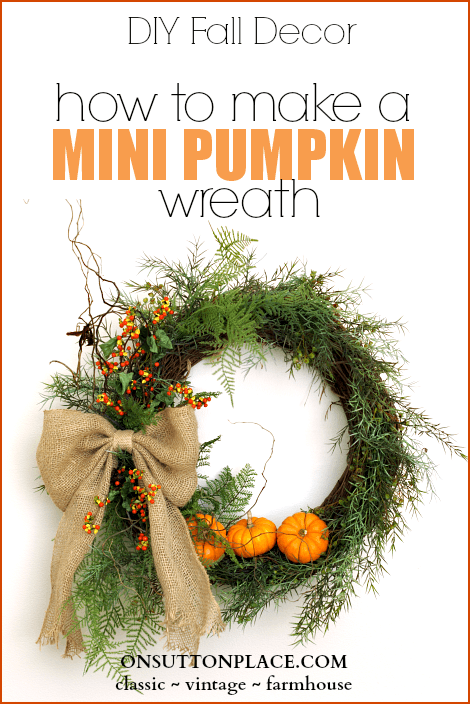 Thanks for the instructions on how to wire those mini pumpkins to a wreath! You just have a way of knowing how much to add to your wreaths so they never look overdone. Each wreath that you make looks effortless! Oh my gosh what a nice thing to say…thank you! I feel the same way about wreaths; there’s always one on my front door that I change seasonally. Your wreath is beautiful! Thanks so much for the continued inspiration.